Granite Countertops are the standard when it comes to increasing the perceived value of your home. The natural beauty and the fact that no one in the world has the exact same countertop as you adds to the mystique of having granite as your countertops. 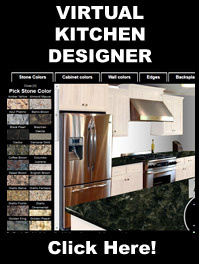 Granite is the perfect surface for your kitchen and bathrooms with its hardness and durability. Maintenance is minimal as the surface is impermeable and will last forever. Granite is a great way to add warmth and texture to your room. The cost of granite can be prohibitive but the return will be well worth it from a marketability stand point as well as the years of use you will have. 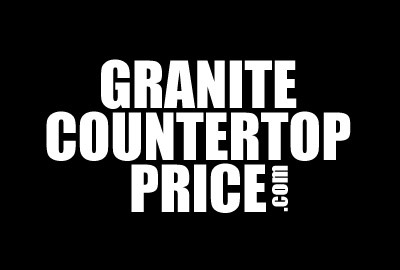 So how much does a granite countertop cost? At this time granite is marketed between $30 and $200 per square foot. The vast difference between the price is the complexity of the installation, the rareness of the stone selected and the quality and service of the fabricator. Granite comes in many thick nesses but the most common are 2cm and 3cm. 3cm is the most common for countertop applications due to the added strength and the stability during transportation. 2cm should only be used in some overlay situation and should be adhered to existing countertop or plywood backing. Typically the price difference is nominal. Installation may be included or not so watch the fine print here. Typically installation and fabrication will run $20-$40 per square foot depending on how detailed and the level of service you are to receive. At $20 down expect white gloves but hard working local fabricators that will take certain level of care to the finish and the cleanliness of the experience. At $40 you can expect a lot more and you should see perfection in the installation and your home should be as clean as you left it prior to installation. This is the largest factor associated to your per square foot price. Granite ranges in price from $10 per square to $200+ just for the stone. This is due to the costs associated to farming the particular stone from the earth as well as the beauty and rarity of the stone. Just like fine jeweler the more unique and beautiful the granite the more it will cost. Granite edge options are vast. They very from a simple pencil edge to double waterfall ogee to chiseled. All edges add to the detail of the space but they the also affect the price. The more simple the edge the cost can disappear for a simple pencil edge or rounded. These edges are typically included for no extra fee. Other more advanced edges like chiseled and ogee, bull nose, etc typically are extra and are typically priced per linear foot of edging. Expect to pay between $10 up to $100+ with double edge laminated edges due to the increase handling and fabrication time. Sink holes and cutouts are additional time and handling so expect to be charged for this. Any time your countertop is handled will cost you in the end. Under mount sinks are popular with granite countertops so that you can show off the edges of the granite and not have the overlap of the sink on top of the granite. The granite industry is pushing this but you could save some money if you don't have the additional edges finished and do a drop in sink. This is just not what they recommend due to the aesthetics of the sink hole and the added time for fabrication and polishing. 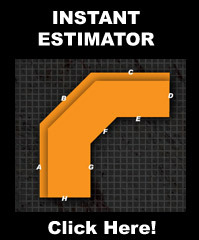 For islands and peninsula you may find that you would like to have a radius edge. These will also effect the price of your granite countertop fabrication due to the added time to configure and cut these details into your countertop. They do add style but just be sure that your wallet is ready. The back splash can be cut from the same stone and the fabricator needs to know ahead of time what you plan to do here due to pattern matching issues, especially with stones that have a lot of veins. Typically this is billed as additional square footage and would be at the same rate as the countertops if the stone is the same product. Back splashes are typically 4 inch if the same as the countertops or can be full length under the cabinets or be a different product all together. For your smaller jobs, remnants or cut offs may be able to work for your application but this typically ends up costing more due to the size of the job and the additional costs associated to working with a smaller square footage. If you can do a self installation, this is not the case, and you could have big cost savings by installing the granite yourself. Close outs can also be a benefit to to the budget granite countertop shopper. Closeouts are typically left over stones. A supplier will buy a bundle of stone that comes from a specific quarry. This stone is typically from the same area of the ground so that the colors and the veining are similar from stone to stone. When one stone is left over it is less likely to be picked up by a larger job because the colors and the veining will not match. If this stone has been sitting for a while you may be able to get into a close out for a little less money but you may run into issues depending on the size of the job. Granite can be porous and a sealer helps to seal these pours from capturing food bacteria. These pours are so small that you cannot see'er feel them. Typically sealing the granite each year will surffice and preserve the overall appearance of the stone. 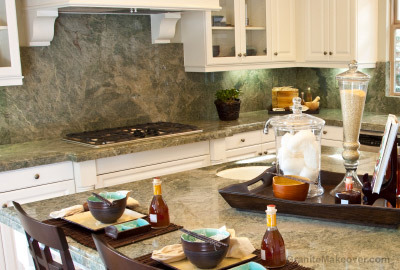 Granite is a very low maintenance countertop and is very durable. With a little care you will know why granite countertops are the most sought after surface. Granite is very heavy. Many products are available for your installers to safely support and move your countertops into place in your home. Due to the size and potential for you to harm yourself or someone else. Other DIY products are available but this typically introduces thinner stone and many more seams which actually will lower the perceived value of the top. Ask the supplier for specials. 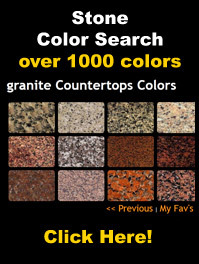 Consider more common colors for the granite countertop. Miss-matched stones are in vogue so look at remnants. Close outs can save you a buck or two. Level one granites or closeouts are less expensive. Shop around a little, both online and locally. If they have the big fancy showroom - you pay for that. If it looks like they don't fabricate they probably don't - You are paying a middle man BUT - They have a rep to manage and there are benefits to that. If you would like to find out more about the different colors of granite countertops available, see Granite Countertops Colors.